One year ago, I started to put together my ideas for a submission to the Starting Grant scheme of the European Research Council (ERC). Inspired by research conducted during my two-year stay at the Centre for Science and Policy (CSaP) of the University of Cambridge, debates with my distinguished colleagues and a succession of great discussions and workshops with Hannah Hughes from Cardiff University, I sat down over the summer last year to write a proposal strong and creative enough to convince the SH2 panel on Institutions, Values, Environment and Space of the ground-breaking character of my research- as the ERC frames it- and my research profile. They evaluate both your ideas and, yourself. After I progressed to the second stage of the evaluation process, I was invited for an interview, which took place in Brussels on the 30th of May. An 8-minute presentation, which in the end I nearly knew by heart. The presentation was followed by 17 minutes of questions by a panel, which was very welcoming and merciless at the same time. I decided to go hiking 250 km on the South West Coast Path from Newquay to Falmouth the week before the interview and this was the best thing I could have done to be mentally prepared for the 25 minutes in front of the ERC panel. After the presentation, I even lost my voice and all the energy I accumulated during our walk along the Cornish coast. Last Friday- after weeks of waiting and thinking about every single answer I gave- the ERC communicated the results of the last call and I am more than proud to be one out of 403 researchers, who obtained an ERC Starting Grant and get the opportunity to create their own research teams and conduct the research they believe in. I will use my grant to develop and apply a new multiscale and interdisciplinary methodological approach for grounding the analysis of science-policy interrelations in empirical research. I will apply this approach to the newly emerging field of marine biodiversity politics with the ambition to transform our understanding of the role of data and of global and national marine biodiversity monitoring practices and policies in governing the oceans. The background of my project is the decision of the UN General Assembly to develop a new legally binding treaty under the United Nations Convention on the Law of the Sea to protect marine biodiversity and ensure that benefits are equally shared. Within this treaty marine biodiversity data will play a central role: Firstly, in supporting intergovernmental efforts to identify, protect and monitor marine biodiversity. Secondly, in informing governments interested in particular aspects of marine biodiversity, including its economic use and its contribution to biosecurity. In examining how this data is represented and used, this project will create a novel understanding of the materiality of science-policy interrelations in global environmental politics as well as develop the methodologies to do so. This is crucial because the capacities to develop and use data infrastructures are unequally distributed among countries and global initiatives for data sharing are significantly challenged by conflicting perceptions of who benefits from marine biodiversity research. Despite broad recognition of these challenges within natural science communities the political aspects of marine biodiversity data remain understudied. Academic debates tend to neglect the role of international politics in legitimising and authorising scientific concepts, data sources and criteria and how this influences national monitoring priorities. 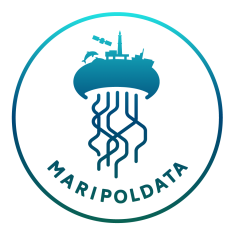 The central objective of MARIPOLDATA is to overcome these shortcomings by developing and applying a new multiscale methodology for grounding the analysis of science-policy interrelations in empirical research and by strengthening and deepening the research network I have established with wonderful colleagues in the past years. I really look forward to it and I would like to thank everybody, who supported my efforts and who believed in me. I also would like to thank the Austrian Science Fund (FWF) for supporting my work in Cambridge and at the Department of Political Science of the University of Vienna, where I could use my time and resources to write my ideas down.